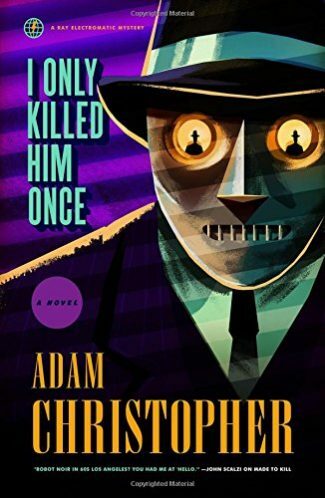 A blend of science fiction and stylish mystery noir featuring a robot detective, I Only Killed Him Once is the newest stand-alone installment in Adam Christopher’s Ray Electromatic mystery series. Take a visual tour of I Only Killed Him Once with GIFnotes! I do love a good mashup, and Adam Christopher’s Ray Electromatic sci-fi noir series is a brilliant mixture of two well-loved genres. Alas, this is the final book in the series, and while it works alright as a standalone, I do urge new readers to seek out the previous books and novellas first to get the full experience of this clever, inventive mystery series. I Only Killed Him Once continues the noir adventures of Ray Electromatic, the world’s last robot. Designed to be a private investigator, his other half, Ada, has made it so that he’s primarily an assassin for hire. Ada is a computer housed in the detective agency where they operate, and Ray is wholly dependent on her for not only business but a continued sense of self. His internal memory only lasts for 24 hours before running out of storage space, at which point he needs to return to the agency, upload his files to Ada, erase the tapes embedded in his chest, and start anew. This means, of course, that discretion is one of his greatest selling points: hard to spill any secrets when you start with a fresh slate every morning. But every once in a while, his internal memory doesn’t get overwritten as cleanly as it should, and fragments remain to haunt him as to who and what he has become. Was I the same person, when I woke up? Sure, I wasn’t a person. As far as I knew, robots—even ones that looked like people—had only ever acquired the same legal rights as the automobile parked in the garage several floors underneath my feet. But I walked and I talked and I thought about things and I thought that made me a person of a kind. But was I the same person when I woke up? Was the Ray Electromatic that was looking out of my optics at this very moment the same one that would be viewing the world in the morning? Or was he erased along with his tape, and another Ray Electromatic came along? Just the same as the original. Someone once said that we’re the sum of our experiences and our memories. If I started each day with neither of those things, then what did that make me? In this third book of the series, Ray is mostly resigned to being a professional hitman. There’s something a little off about his latest assignment though, especially when the man he’d permanently disposed of the night before shows up at the detective agency with a friendly warning for him and Ada. Soon, Ray is hunting for clues that he left for himself, Memento-style, in the lead up to a run-in that his past self clearly expected. But when Ada disappears, the stakes go through the roof, and Ray is forced to confront a past he once thought obliterated. The windows were dark and I couldn’t see any movement within, although the angle of the sun made it hard to see. I tried a few [optical] filters but nothing worked. I sat in the car and I watched and I waited. I wasn’t sure what to think. I calculated a few options and ran a few of them through my tabulating regression forecaster. The answers came back the same each time, and none of them was of much use to me given that the house seemed empty and the street was quiet and I was a robot sitting in a car with a ray gun that wasn’t much good for anything if there were no robots to shoot with it. I’m quite sad that this is the conclusion of Ray’s adventures, though quite pleased with the outcome (and you never know, Ray could ride again!). Ray is a terrific noir detective, and this novel gives him and Ada the sendoff they deserve. 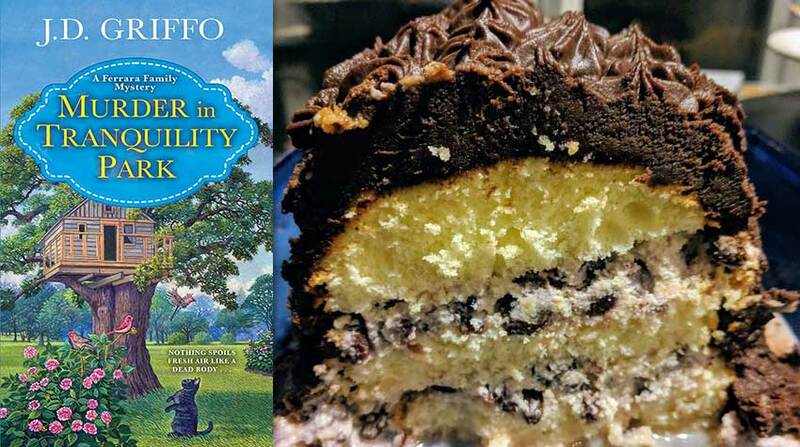 Read an excerpt from I Only Killed Him Once!